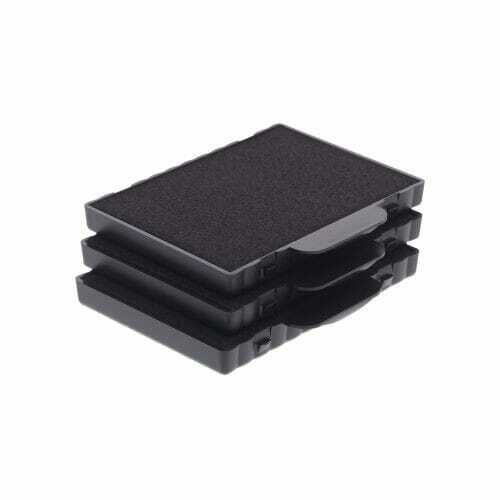 Multi pack of three replacement ink pads. The new 6/511 replacement ink pads are suitable to fit the Trodat Professional 5211 and 54110 rubber stamps. The ink is manufactured with a water base and contains no toxic substances, no acid, no formaldehyde, and no heavy metals. The ink is hygroscopic, meaning that it self regulates by absorbing the humidity of the surrounding air so that it does not dry out, allowing prolonged usage. New 6/511 ink pads are available in an array of colors: black, blue, green, red or violet. As well as dual color red and blue pads, which are perfect for date stamps. Customer evaluation "Trodat Replacement Ink Cartridge 6/511 - pack of 3"
Custom Engraved Sign/Desk Holder Complete- Designer 2" x 8"